Over the past two decades I have found myself returning, in different ways and circumstances, to the call contained within a line from paragraph 8 of our Constitutions: The pierced Heart of Jesus opens our being to the depths of God and to the anguish of humankind. Over the years my understanding of that Heart, and of my call to it, has shifted, nuanced, widened and evolved, according to the events and the people, the sorrows, joys and struggles that have been part of my life. But the central call, the captivation, has endured - steadfastly so. 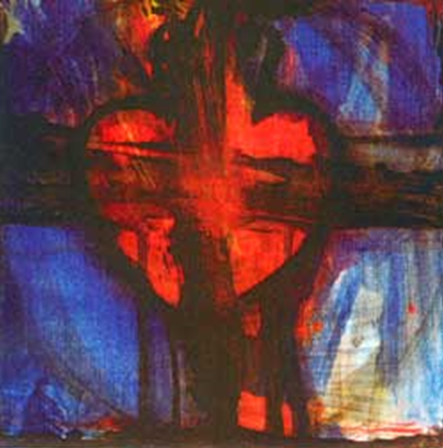 But the piercing of Jesus' Heart was not the end: that violent act did not have the final word, but, unwittingly, released a torrent of abundant, redemptive love, poured out over all. It was not the end, but the beginning of something infinitely glorious; not a closure but an opening-up. Love has proved stronger than death, vulnerability stronger than violence. And this morning, whether we can see it or not, the sun is dancing and the earth rejoices, because Jesus is risen, death has been overcome and Love made flesh still lives among us, gloriously so, and recognisable by his wounds. I resonate with all you have said. I also have found the treasure for He has opened His Heart to and for us.